HomeBlog July 2015 Trend Watch: Pineapples! Ahh, the sweet taste of pineapple! Are you loving the pineapple motif trend as much as we are? We're sharing four of our fave ways to DIY this funky fruit! Our friends over at Blitsy transform an apron with an inexpensive pair of pineapple leggings and Fabric Mod Podge. I Spy DIY brings a touch of pineapple to home decor with this fun printed pillow, and FolkArt Multi-Surface would be the perfect paint for this project. We're nuts about this cheeky take on the glorious pineapple from Studio DIY! These mini pineapples would be adorable summer soiree decor. Get the little ones in on the trend too with this fingerprint kids art project idea via Sassy Dealz. 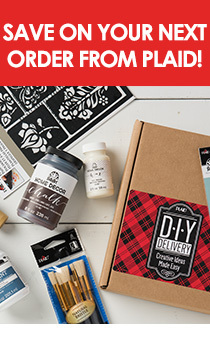 Subscribe to our newsletter for more crafty inspiration!